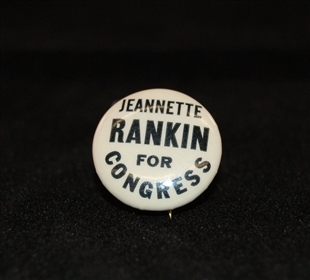 This campaign button was the start of Jeannette Rankin’s second successful campaign for Congress during the looming crisis of World War II. In the vote for the declaration of war on Japan, she was the only Member to vote no. 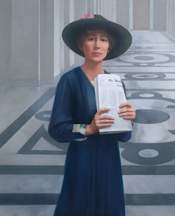 In 1917 she had become the first woman to serve in Congress when she represented Montana for a single term in the House.